The Online Applications (Part II) can be filled from 09th January 2019 , after which link will be disabled. (i) For Army Wing of National Defence Academy: 12th Class pass of the 10+2 pattern of School Education or equivalent examination conducted by a State Education Board or a University . (ii) For Air Force and Naval Wings of NDA and for 10+2 (Executive Branch) Course at Naval Academy: 12th Class pass of the 10+2 pattern of School Education or equivalent with Physics and Mathematics conducted by a State Education Board or a University . 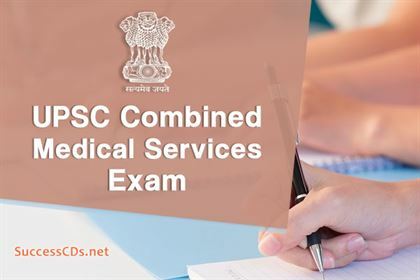 UPSC CMS 2019 Exam - Union Public Service Commission (UPSC) issued UPSC Combined Medical Services Examination/ CMS 2019 Notification for the recruitment of 965 Assistant Divisional Medical Officer in the Railways, Assistant Medical Officer in Indian Ordnance Factories Health Services, Junior Scale Posts in Central Health Services vacancies. 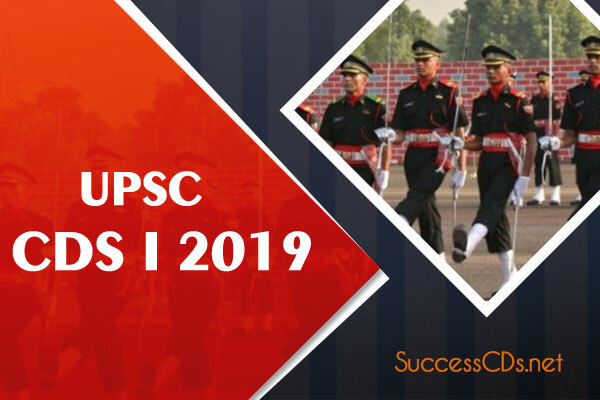 UPSC CDS (I) 2019 result for Written Exam announced. Visit us to know how to check result for UPSC Combined Defence Services (CDS) 2019 Exam from the official website. 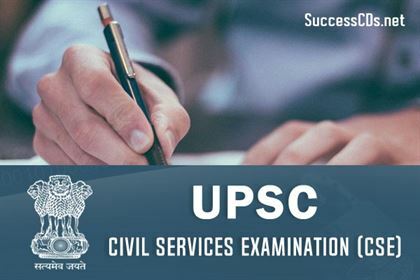 UPSC IES and ISS Entrance Exam 2019 Notification - Union Public Service Commission (UPSC) has released the notification for Indian Economic Service (I.E.S) / Indian Statistical Service (I.S.S.) Examination 2019. Interested and eligible candidates can apply for the positions before the deadline. The last date to apply for the positions is 16th April 2019. UPSC Geologist Exam 2019 Notification - Applications are invited for UPSC Geologist 2019 and Geo-Scientist Exam 2019 and Union Public Service Commission (UPSC) has issued exam notification of Combined Geo-Scientist and Geologist Examination 2019. UPSC ESE Prelims Result 2019 released, Check now! 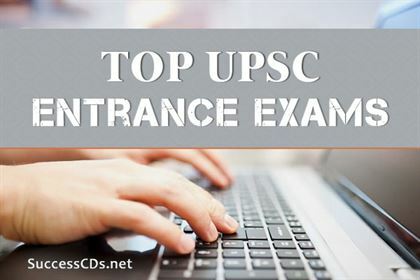 UPSC ESE Prelims Result 2019 released. Check with us to know how to check UPSC Engineering Service Prelims Examination results from the official website. UPSC Civil Services Exam 2019 - The Union Public Service Commission (UPSC) is likely to release the official notification and online application form for the Civil Services Examination 2019 on 19th February 2019. Aspirants can check details on the official website. Indian Army SSC Technical Recruitment 2019 - Indian Army has released notification of Indian Army SSC Tech 53rd Men 24th Women 2019 for unmarried Male and unmarried Female Engineering Graduate and also from Widows of Defence Personnel for grant of Short Service Commission in the Indian Army in all Arms/Services. Course shall be commenced in Oct. 2019 at Officers Training Academy (OTA), Chennai, Tamil Nadu. (i) For IMA and OTA: Degree of a recognised University or equivalent. (ii) For Naval Academy: B.Sc. (with Physics & Mathematics at 10+2 level) or Bachelor of Engineering. (iii) For Air Force Academy: Degree of a recognised University (with Physics and Mathematics at 10+2 level) or Bachelor of Engineering. UPSC Exam Dates 2019 - The Union Public Service Commission has released the exam schedule for 2019 on their official website. The aspiring candidates can check the exam schedule for the UPSC 2019 Exam on the official website. UPSC CISF AC (EXE) LDCE Exam 2019 - The Union Public Service Commission (UPSC) has released the official notification for the Central Industrial Security Force CISF AC (Executive) Limited Departmental Competitive Examination, 2019 on its official website. 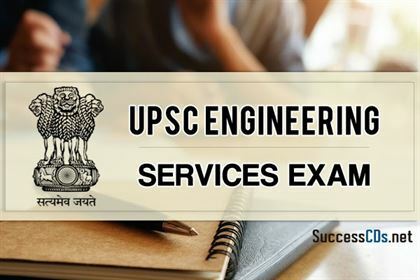 UPSC Engineering Services Exam 2019 - Union Public Service Commission has announced the UPSC ESE 2019 Engineering Services (Preliminary - Stage I) Examination, 2019 schedule, and is seeking applications from Engineering Job aspirants from Graduate Engineers. The examination is scheduled to be held 06th January 2019. NDA Exam Dates 2019 have been released for candidates who wish to appear for UPSC NDA Exam 2019. Combined Defence Service CDS (II) 2019 selection procedure is rigorous process through which candidates in fields of Indian Military Academy (IMA), Indian Naval Academy (INA), Air Force Academy (AFA) and Officers Training Academy are selected. 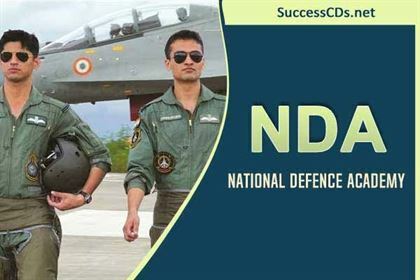 NDA Eligibility Criteria 2019 : Candidates who wish to apply for can check below for the detailed eligibility criteria as declared by UPSC. The NDA Exam is conducted by UPSC twice in a year - April and September. Candidates are advised to carefully check the below mentioned eligibility requirements for appearing in NDA 2019. In case a candidate does not fulfil the requirements, he/she cannot appear in the entrance exam under any circumstance. Read this article to know about Exam pattern of NDA/NA Examination. The NDA written examination structure has General Ability Test (English, GK). The NDA Selection procedure includes Written Exam followed by and Intelligence and Personality Test. This article aims to guide our readers about UPSC CDS exam pattern. The UPSC Combined Defence Services Exam, popularly known as the CDS Exam is held twice a year to recruit officers for the Army, Air force and the Navy. CDS 2 Admit Card 2018 Now Available! The UPSC that is Union Public Service Commission has finally released the CDS 2 Admit cards on the official website yesterday on 25th October 2018. According to the latest update from the UPSC and several trusted media sources, the admit cards for CDS (Combined Defence Services) 2 written exam has been officially availed to all the registered candidates. UPSC Civil Services Exams Preparation – Hometown or Delhi. In this article factors related to choosing your place of study whether hometown or Delhi are discussed. UPSC declares COMBINED DEFENCE SERVICES EXAMINATION (I),2018 Results held on 04th February, 2018 . UPSC Assistant Commandants Exam 2018 (CAPF AC 2018 Exam) - Union Public Service Commission (UPSC) has released a notification on its website regarding Central Armed Police Forces - Assistant Commandants Exam 2018. UPSC Exam Preparation with Online Resources. In this article we will be focusing upon studying for the UPSC Exam by the help of Online Resources. Different Job Profiles under UPSC Services. Other than the prime central services such as IAS, IFA, IPS – some Group A services are discussed below. Indian Foreign Service Officer in India – Profile, Career. How to become IFS in India, the job Profile, and how to get selected in the Indian Foreign Service- here is a detailed information article. UPSC Civil Services Preparation. Here are number of articles suggesting various methods, tips and ways of studying and preparing to crack UPSC Civil Services Exams. UPSC Mains - How to Answer English Compulsory Language Paper. UPSC mains examination checks the basics of English, the level that is must to convey what one wants to say, to test the candidates’ ability to read and understand serious discursive writings. UPSC Personality Test – What we need to know. Here is what we need to know essentially, when you have to sit for the interviews after clearing the written UPSC exams -some essential tips for preparing and appearing for the interview. UPSC Exams 20 Important Essay Topics for Preparation. The topics range from contemporary social issues to ethical-philosophical enquiries. A list of some of the very important topics for essays for this year has been prepared. UPSC IFS Exam 2018 - Union Public Service Commission (UPSC) will be going to organize IFS 2018 (Indian Forest Service) Exam to recruit candidates for the post of Indian Forest Services Officer. Qualifying Papers- CSAT, English and Hindi for Civil Service Exam. Apart from the compulsory papers- whose marks will add up to form the final list- there are some qualifying papers which will have to be cleared with a certain margin. UPSC IES ISS Examination services other than CSE. Civil Service Examination remains synonymous to prestige, reverence and social standing, there are other easier exams with limited competition, specific eligibility criteria, with job description same as that of a bureaucrat. Prepare for CSE while doing Graduation. Here we have comprehensively discussed the pros and cons of the graduation-strategy. 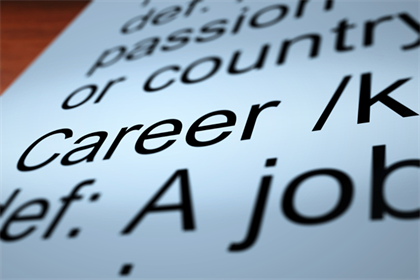 How to Crack the Civil Service Exam while on Job. Here are some guideline to preparing and clearing the UPSC CSE exam if you are working. Ancient History, preparation strategy for UPSC CSE. Ancient History has been added in the syllabus of UPSC CSE Preliminary exam as well as in Mains. Here are some handy ways to prepare for Ancient History topics. Revision, the secret to win the last lapse for Civil Service Preparation. Revision for Civil Service Exam not only strengthens the conceptual and factual information but also helps us in retaining and remembering the right things on time. Studying smart for Civil Service Exam Part II for General Studies (GS) Paper 3 and 4 to crack the UPSC Civil Service Exam. The combination between working hard and studying smart is will be discussed in this article. The duo of hard work & studying smart for Civil Service Exam. Art of Making Notes for Civil Service Exam (Part 1). Here are some very basic must Do’s and Don'ts of notes making for preparation of the UPSC Civil Service Exam. And the ultimate skills to make to the point all inclusive notes for UPSC CSE preparation. UPSC Exam Notification 2017 has announced an official advertisement for 41 Specialist, Economic Officer Posts. UPSC CDS Salary and Allowances 2017 – Union Public Selection Commission conducts Combined Defence Service Exam to recruit entry level officer in the Indian Military Academy(IMA), officers Training Academy(OTA), Indian Naval Academy(INA) and Indian Air Force Academy (IAFA). As per the course choose in application and marks chased in exam, you will be assigned duties. Subjects from Science Stream could be favorable as optional subject for the aspirants of the civil service exam. Here are some guidelines of your interest. UPSC Civil Services Examination 2017 (Prelims), held on 18th of June, surprised many aspirants who expected the paper to conform to the patterns of previous years. Getting into UPSC Civil Services is the dream of about half the youth of our nation. But even before you start the UPSC preparation, there are some things that you must keep in mind so as to keep your preparation focused and success oriented. It’s all about glory, chivalry and courage. Being part of the country’s defence forces is not really a job, but a way of life. This is why thousands of aspirants with an adventurous streak and reverence for their motherland aspire to join the forces. Looking for scholarship schemes for NDA cadets? Check out this post as it has an extensive list of government and non-government NDA scholarships that a cadet can avail during and after the training at any of the National Defence Academies in India. The Centre has decided that the UPSC civil services aspirants who took the exam in the last three years (2012-14) need not be given an additional chance this year. The decision comes following a directive by Central Administrative Tribunal (CAT) to the Department of Personnel and Training (DoPT). Read this article to know about SSB interview procedure. Check out more information regarding day wise tasks performed during CDS SSB Interview. See this post to know all about IES exam pattern. IES Exam is the qualifying national level competitive exam conducted by the UPSC for selection of eligible applicants for different streams of engineering. UPSC announces Central Armed Police Forces (CAPF) Assistant Commandants Examination for 2015 session through a written examination. Visit us for more details on Central Armed Police Forces (CAPF) Assistant Commandants recruitment eligibility, selection procedure and fee structure. The Union Public Service Commission (UPSC) has recently published the roll numbers of successful candidates in the Civil Services (Preliminary) Examination, 2014 and said no to entertaining applications under the pretense of RTI act. The Reserve Bank of India (RBI) is currently planning to bring forth a common recruitment system in order to tap talent for its core functions. The apex banking and financial institution has hinted that this new recruitment system will be loosely based on the UPSC exam for civil services. More than 4.5 lakh students across the country appeared in the UPSC Preliminary exam on Sunday in various centers spread throughout the country. As per available record, a total of 4,51,602 students appeared in the exam – almost 1.27 lakh more than the total number of students who took the exam last year. The total number of authorized centers was 2,137 in as many as 59 cities. The Union Public Services Commission has announced a series of changes in the rules of the civil services examination (preliminary) scheduled to be held on August 24, 2014. The commission announced the changes via a press release available online. According to the press release, the duration of both Paper I and II of the exam will be two hours each. UPSC CDS I Admit Card 2019 released, Download now! NDA, NA (I) 2019 Application Process begins, Apply now! UPSC Results 2018 for IES and ISS exam announced, Check details! What to expect in UPSC Civil Services Interview ?